GeoDigit is a company specializing in management of geoinformations. We have years of experience in the field of geodesy, geoinformation systems, as well as all kinds of processing of spatial data. Knowledge of project management has been developed at the local and international market. Our experts will help you design your system so that it can become technically feasible and sustainable, and our strong operations will lead your projects to their completion. One of the main priorities of the company is to ensure the safety and security of data and information’s. Nowadays, the key aspect of professionalism is the way of dealing with confidential information’s. 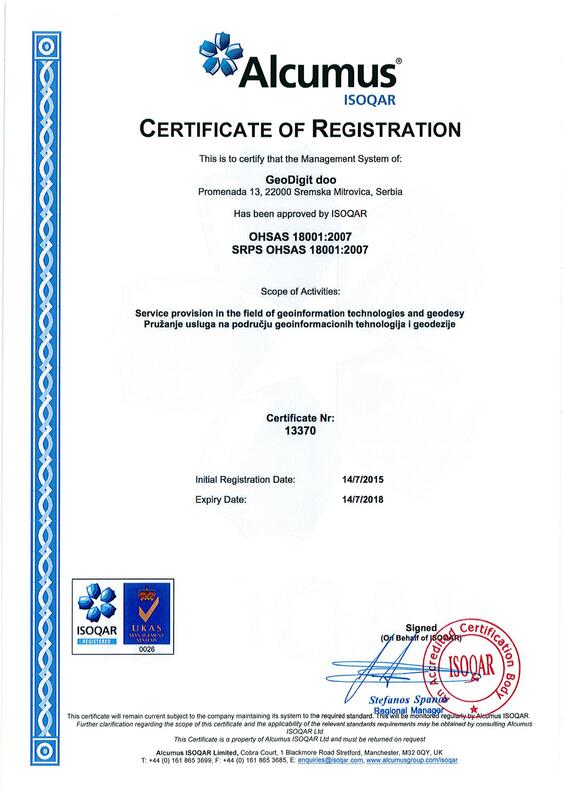 GeoDigit is an organization that has its own security system raised to the highest level as evidenced by the internationally recognized certificate. 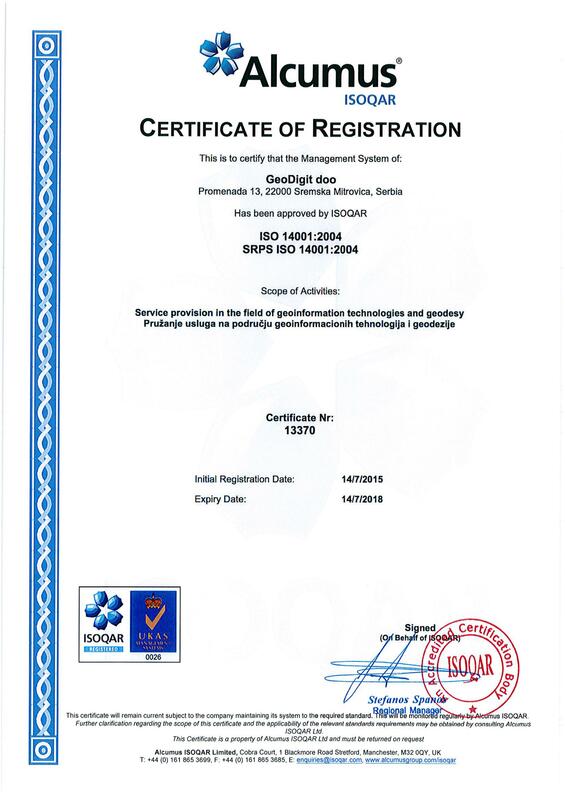 Guided by its mission and vision, GeoDigit has harmonized its quality system with internationally recognized standards, which confirm the dedication and commitment of the organization towards achieving the objectives of ensuring the quality of services. Our team is our strength. The fact that the employees make the highest value of the Organization shall apply to all available methods in order to protect employees in the performance of their duties. By applying all necessary measures to protect the safe operation, both the employees and the company are being protected. 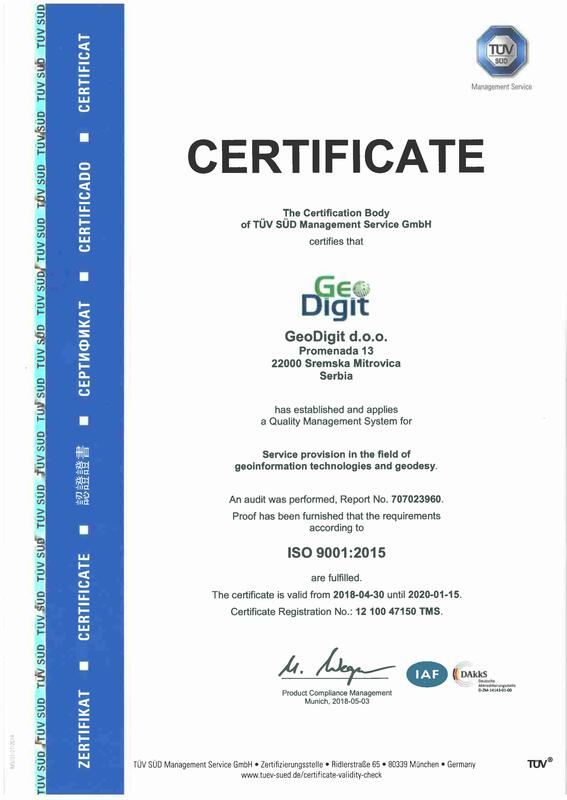 GeoDigit and its employees are socially responsible and aware of the necessity and importance of environmental protection. International standard is just a proof of commitment to maintaining our planet clean and safe.